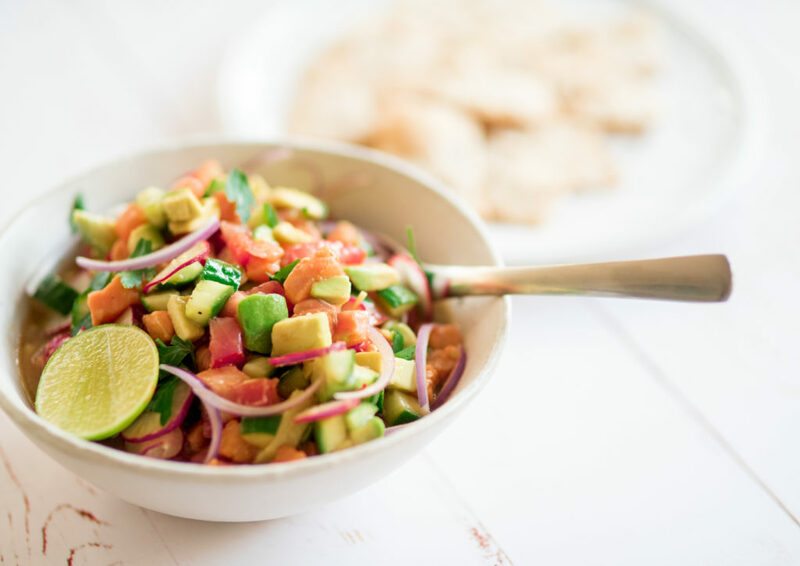 This delicious, tangy salmon ceviche makes the perfect starter or main when it’s too hot to cook! This is a favourite dinner in our house – rather than being cooked by heat, the salmon is ‘cooked’ by the acid in the lime juice. This is especially handy in summer when turning on the oven or stove is about the last thing you feel like doing! 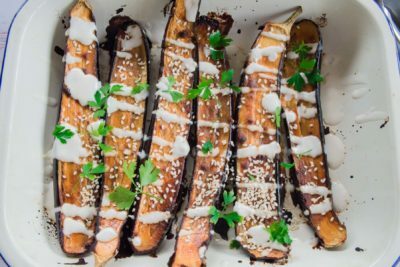 Serve it on it’s own or with some grilled tortillas as a starter or with some brown rice or if you’re having it as a main. Place salmon chunks in a bowl. Pour over lime juice, mix well and leave in fridge to sit for 20 minutes. The salmon should turn a slightly translucent colour as it ‘cooks’ in the juice. Add cucumber, onion, avocado, chilli and coriander and toss gently. Mix together sesame oil, soy sauce and honey and pour over salmon. Serve over brown rice or with toasted tortilla.